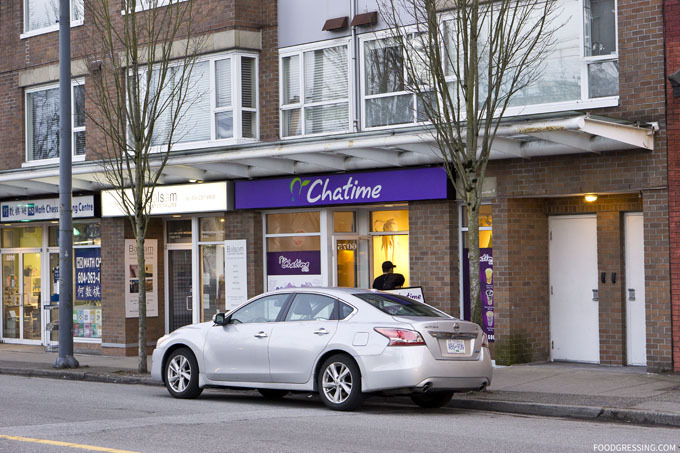 Exciting news for Chatime fans as Chatime has opened their sixth location in BC. 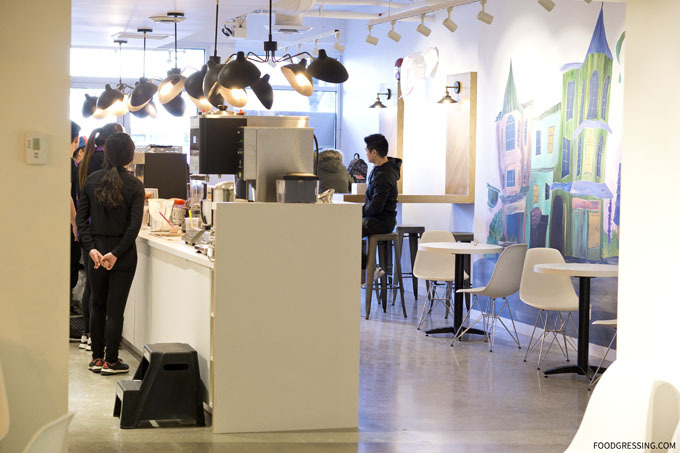 The newest shop is in Kerrisdale at 6075 West Boulevard, Vancouver. 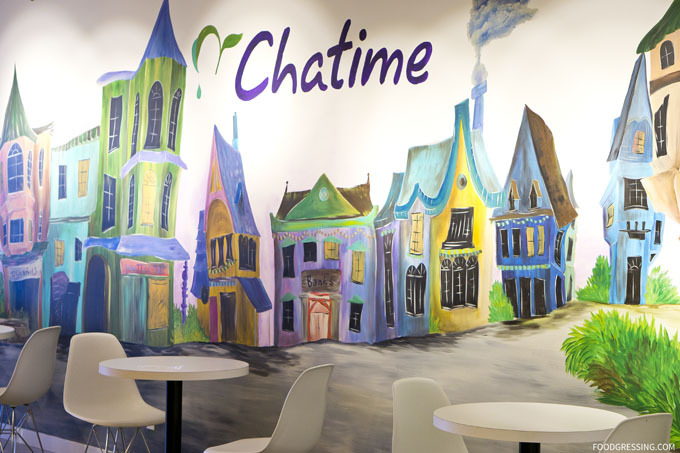 Originally from Taiwan, Chatime has over 1200 locations worldwide including Abu Dhabi, Miami, London and more. 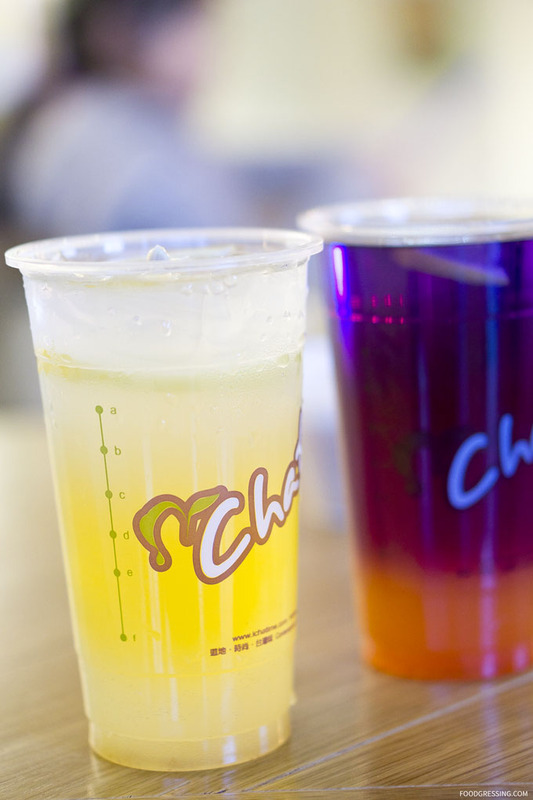 Chatime Kerrisdale is currently in a soft opening phase but will be having their grand opening next week on March 10th. 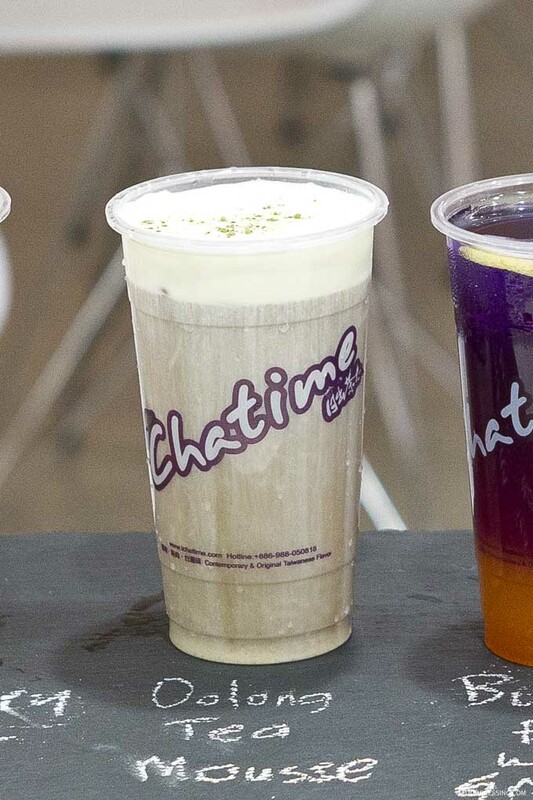 There is a buy one get one free grand opening special on March 10 – 12 (three days) where the free drink is a Pearl Milk Tea or Grass Jelly Roasted Milk Tea. Yesterday, I attended a media tasting organized by Chinesebites.com. 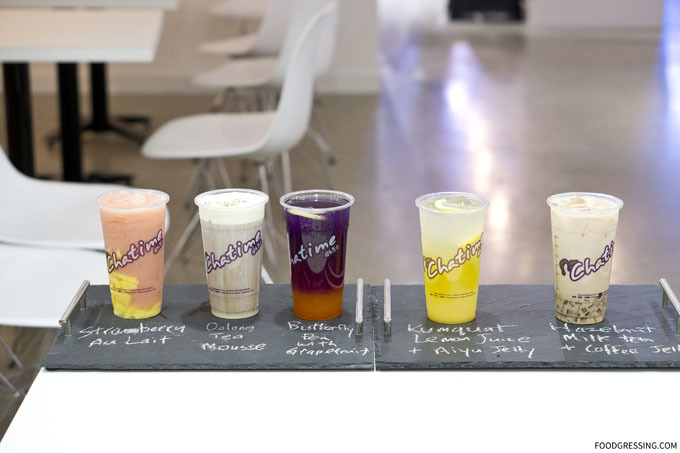 Disclosure: I sampled various drinks from Chatime which were complimentary. Photos are full-size versions. 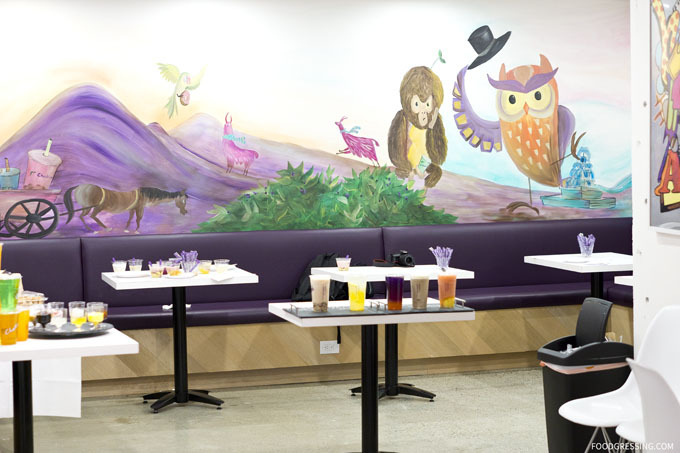 The newest Chatime location has an attractive, artful space. I liked the colourful murales on the walls which added to the atmosphere. There are quite a few tables along the wall and high top tables near the front. At the back, there is a small lounge area with cozy banquette seating. In the photo below, we had the tasting there but you can imagine what it could look like on a regular day. It seems to be a popular place where students can work. 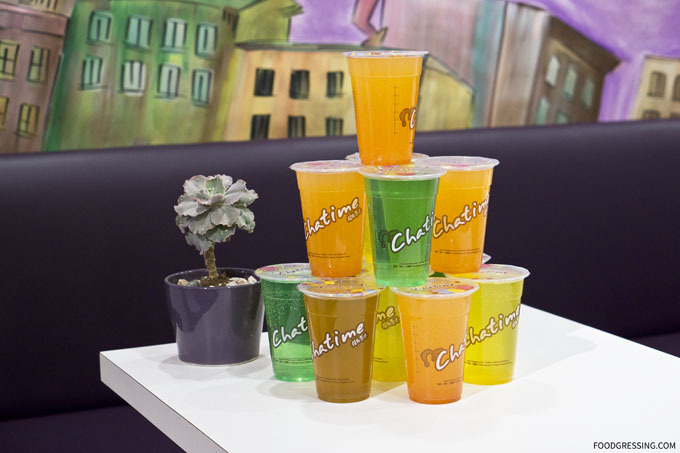 Chatime has a wide selection of drinks organized by category including Milk Tea, Fresh Tea, Smoothie/Slush, Chatime QQ, Refreshing Juice, Fruit Tea, Mousse and more. Drinks typically range between $4-$5. You can decide on the ice level (regular, less, no ice) and sugar level (extra, regular, less, half, slight or not sugar). Click on the image below to see the full image. 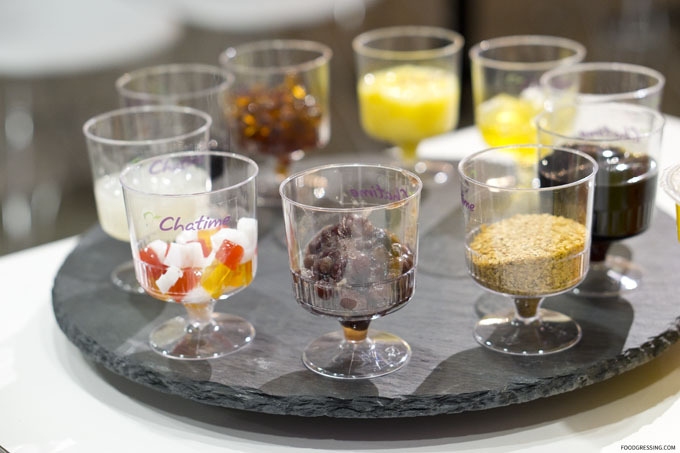 Topping options include pearl, grass jelly, coconut jelly, red bean, coffee jelly, aloe vera, and rainbow jelly, pudding and more. 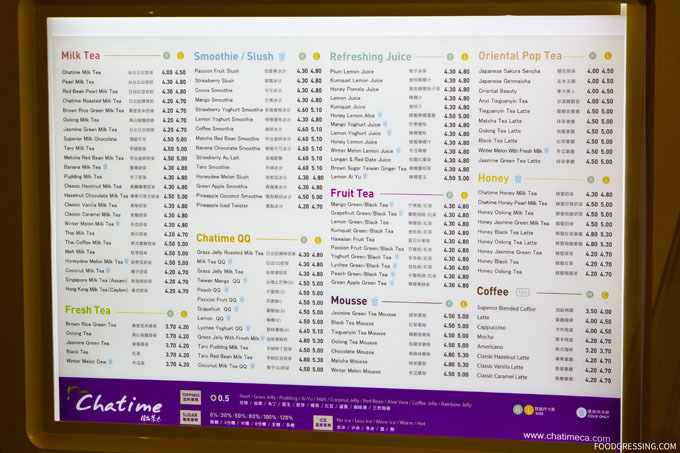 While many bubble tea lovers enjoy sticking to their usual order, you might want to try some of the “hidden gems” on the Chatime menu. I was able to sample some of these hidden gems at the tasting. Butterfly Pea is a wildflower in the Pea family. Its name is inspired by its expanded shape which resembles a butterfly. The flower is best known for its vibrant, blue-violet colour and this bluish color is released when brewed with water. The liquid then changes colour based on the acidity level of the drink. For example, adding lemon juice to butterfly pea flower tea results in a rich violet. The whole experience of creating these drinks is like watching a mood ring change colour. Aside from its novelty factor, butterfly pea flower is said to have high antioxidants. Other health benefits claimed include blood circulation, eye sight improvement, skin and hair nourishment, premature aging prevention, body slimming, and immunity enhancement. 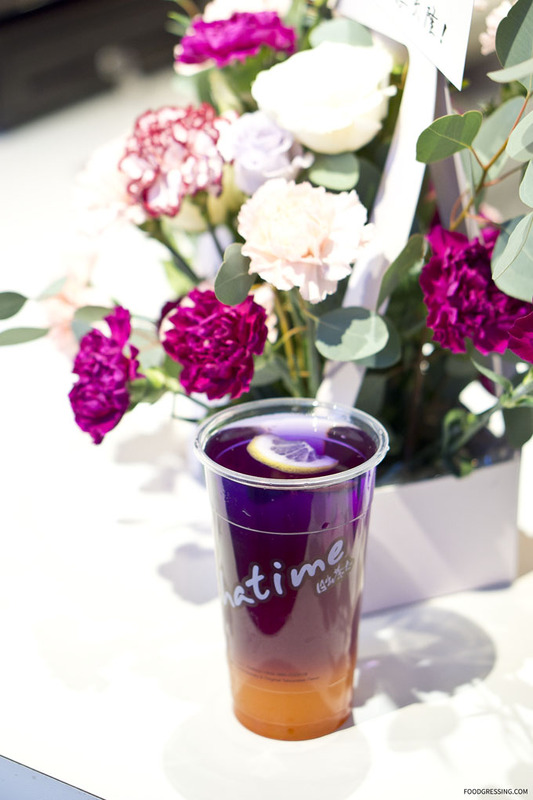 While I have tried Butterfly Pea tea elsewhere in Vancouver, Chatime’s version of the drink is really good and refreshing. I enjoyed the very citrusy taste from the grapefruit juice. 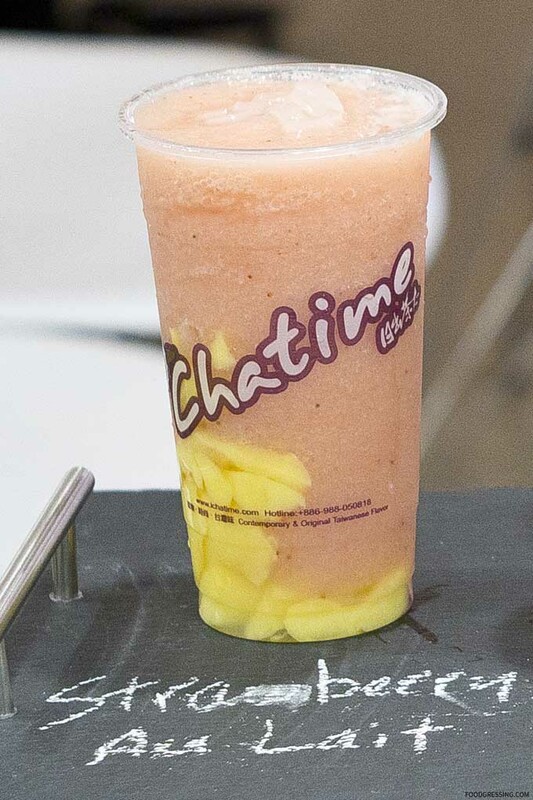 It is recommended to have these drinks in ice versions and to not have additional topping to fully enjoy the flavour of the butterfly pea. Another favourite of mine from the tasting was the Oolong Tea Mousse. It had a very nice oolong flavour on the bottom with a nice foamy mousse on top. Loved the creaminess of it. I would recommend it. The hazelnut milk had a very obvious hazelnut flavour which is good. 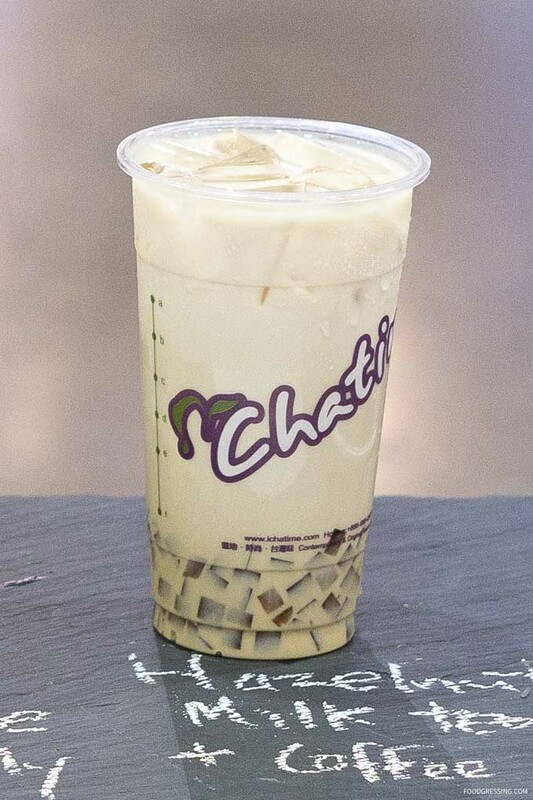 The coffee jelly is the ideal topping for the hazelnut milk tea to compliment the nutty taste. The Strawberry Au Lait tasted more like a dessert drink for me. It had blended strawberry syrup, coconut jelly and milk, and then topped with more coconut jelly. A drink that kind of has a summer feel to it. The Kumquat Lemon Juice is a rather citrusy drink. Fresh kumquat is used when available, but due to it being a seasonal fruit, real fruit syrup may be substituted. Aiyu jelly is a favourite Taiwanese dessert that is made from the seeds of various fig found in the mountains of Taiwan. Aiyu jelly is usually served with honey and lemon juice as well as fruit tea. Chatime Kerrisdale has a very comfortable, inviting space and it makes for a great place for students to hangout or study. I would recommend trying the Butterfly Pea and Oolong Tea Mousse the most.